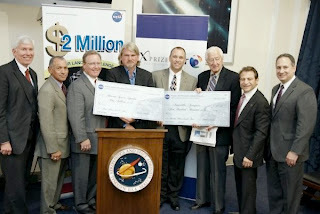 Wow, what an amazing past couple of weeks it has been here at X PRIZE. I have many more thoughts about the conclusion of NGLLXPC, but will keep it short for now by saying that the results of this competition have proven to be very positive, and the success of these prizes bodes extremely well for possible funding of future space prizes. Many, many thanks are in order. There are countless people who have been involved over the years with the NGLLXPC and contributed to it’s success. So today, for Friday Fun Day, we want to celebrate all of the people who have been interested in and supportive of this competition. For the FFD activity, we would love to see photos or hear about memories that you all have had over the years from NGLLXPC. Did you attend the X PRIZE Cup and watch Armadillo’s “Pixel” fly? See TrueZer0’s debut into the competition? Hear Will singing on this year’s webcast? Send us photos or tell us about your favorite NGLLC moments! You can post them here, send via Twitter (@glxp), or post to the GLXP Facebook page. 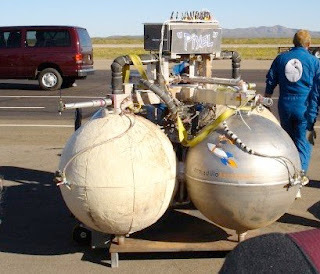 October 2008, Armadillo wins Level I, First Place at Las Cruces International Airport, NM. 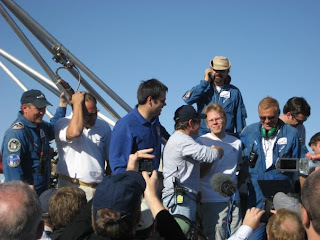 Peter Diamandis congratulating John Carmack after the team successfully returned to the starting line. "One of my fav NGLLC memories: When I asked @revrev (Mike Fabio) to string some cable because I had just painted my nails. HA! (He did it!)"